These awards -a little informal and quirky- recognize the valuable work from the community. 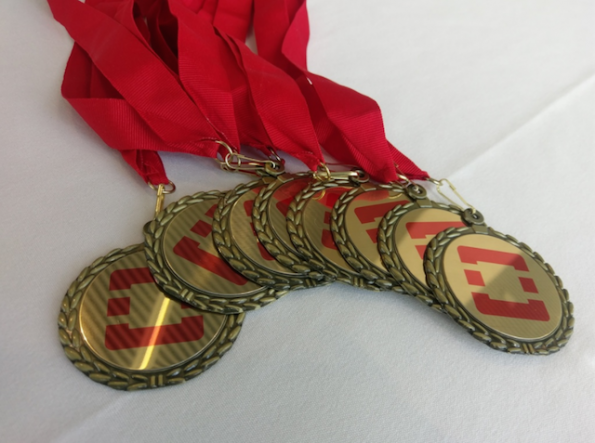 SYDNEY — On the final day of the Sydney Summit, the Community Contributor Awards gave a special tip of the hat to those who might not know how much they are valued. 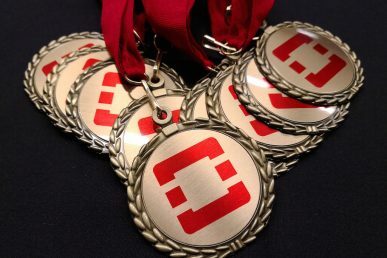 These awards are a little informal and quirky but still recognize the extremely valuable work that everyone does to make OpenStack excel. These behind-the-scenes heroes were nominated by other community members. OpenStack’s upstream developer advocate Kendall Nelson runs the program and handed out the honors at the Summit feedback session. There are three main categories: those who might not be aware that they are valued, those who are the active glue that binds the community together and those who share their knowledge with others. As co-chairs of the public cloud working group, they’ve not only brought the community together, they have brought the world together! They’ve avenged this via the Passport program which is enabling new users worldwide to have wings to roam any cloud. More importantly, they are helping us all realize that clouds do not have to be controlled by central monopolies but can be a community effort where ‘rising rides float all boats.’ Long live federated open infrastructure worldwide! He’s often up early to attend the weekly Infra meeting, is always willing to volunteer and pick up work that needs to be done, and is known to work on his Australian weekends to help us with Friday (PDT) afternoon outages. Recently he jumped on diagnosing why review.openstack.org had disappeared allowing the rest of us to sleep knowing that the situation was under control. This included a phone call to Texas from Australia. Living in Australia with the work week offset and timezone differences I’m not sure that Ian knows how much we appreciate the work he does as we aren’t around when he is around to show it. It’s hard to show appreciation with the time zones involved, but we do notice and it is a huge help. So thank you for being such a team player despite the timezone difficulty. He made a major contribution by translating the entire User Survey into traditional Chinese and for the analysis translated both the traditional and simplified Chinese versions. 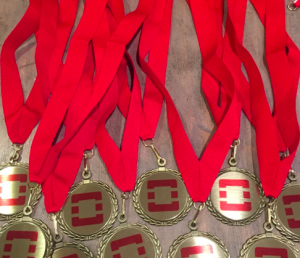 He jumps at the opportunity to volunteer to better serve the OpenStack community… He is an incredibly valuable member of the OpenStack community and his dedication to jumping in to help deserves recognition. In addition to being CEO for a successful company and a respected OpenStack operator, Naser stepped up to be the PTL of the Puppet-OpenStack upstream project team. We need more users like Naser directly involved in OpenStack development. He’s contributed a lot to the OpenStack community, through his own time and development efforts, as well as infrastructure resources through his public cloud. He helped support Chris Hoge and the team working to getting OpenStack in the gate for CNCF and has also supported the team helping get OpenLab off the ground. Cross community testing is really important for the success of OpenStack. She brings a lot of energy to the OpenStack community, networking, educating and generally cheer leading. As an OpenStack Ambassador, she’s invested in helping grow user groups across the U.S. and globally. She runs one of the few online meetups using hangouts making the content more accessible for those who cannot attend or do not live in a major city. She is also active in the Women of OpenStack, and has moderated or participated in lots of panels at OpenStack and industry events. She helps build bridges across open source communities and most importantly keeps our Bay Area community ticking. Kevorkian is Mr. Positivity. He juggles so much in his roles at Cisco and the community, but manages to make the Los Angeles user group a shining example around the world. He always takes the time to provide feedback and even helpful criticism, but you can always tell it comes from a caring place. His infectious smile and positive vibes make a big impact on the community. He is especially good at making behind-the-scenes people feel valued. Got an unsung hero? Nominate that person for recognition at the Barcelona Summit. 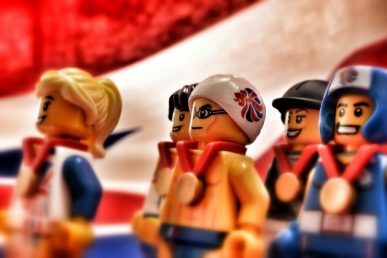 A lot of behind-the-scenes work goes on in the community–these awards put a medal on it.